Guardian Angels always enter our lives in times of need, offering guidance and help. Keep your Guardian Angel close whenever you seek another pair of helping hands. Whether you crave love, strength, knowledge, peace, healing, freedom, answers your Guardian Angel will always be there to make sure you find it. 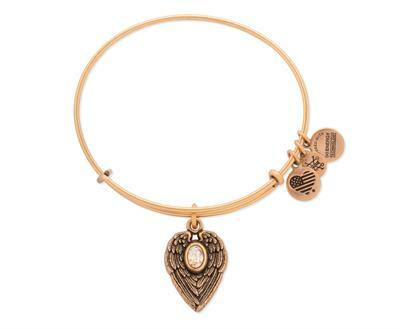 The charm sits on Alex and Ani's Expandable Wire Bangle and features a sparkling Swarovski crystal.